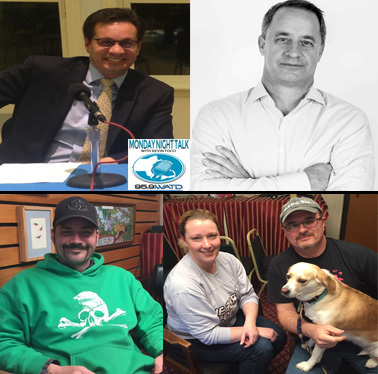 Monday Night Talk host Kevin Tocci chats with State Senator Vinny deMacedo; Kurt Brendlinger, CEO of Freebird Rides; Adult Recreational Marijuana Proponent Geoffrey Yalenezian and Kim Kokkotos & Chuck Givonetti from the Animal Protection Center of Southeastern Massachusetts!!! 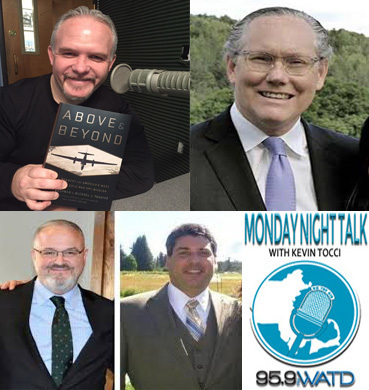 Welcome to the Monday Night Talk radio show podcast from April 16, 2018 featuring US Senate candidate John Kingston and Casey Sherman, author of the new book, "Above & Beyond." There's also a Marshfield Selectmen's forum featuring incumbent Michael Bradley and challenger Thomas Vicirca. 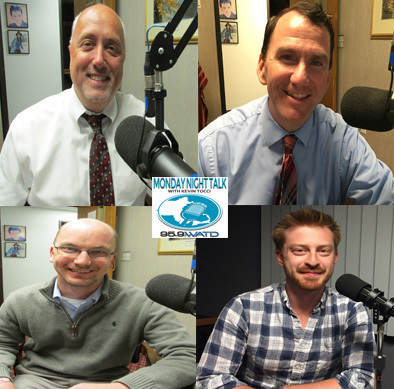 Here's the newest Monday Night Talk radio show podcast from April 9, 2018 with Kevin Tocci and local business owner Richard Rosen featuring State Representative Josh Cutler; Plymouth Selectman & State Representative candidate John Mahoney; Whitman Police Chief Scott Benton and Numismatist Richard Hand!!! 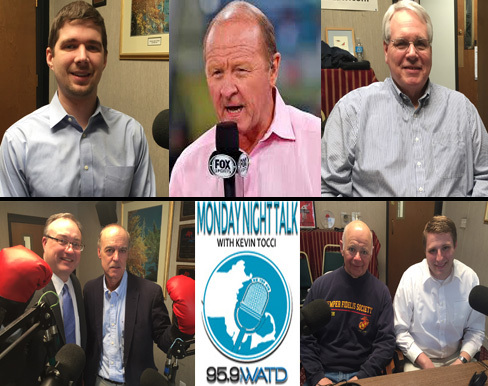 Here's the newest Monday Night Talk radio show podcast from April 2, 2018 featuring Massachusetts Coastal Coalition chairman Joe Rossi; Brockton Councilor-at-Large Win Farwell; State Representative candidate Greg Eaton; East Bridgewater Selectman John Margie; NASCAR Legend Larry McReynolds, plus a news segment called, "The Gloves Are Off" with Steve Gill and Brian Cook! 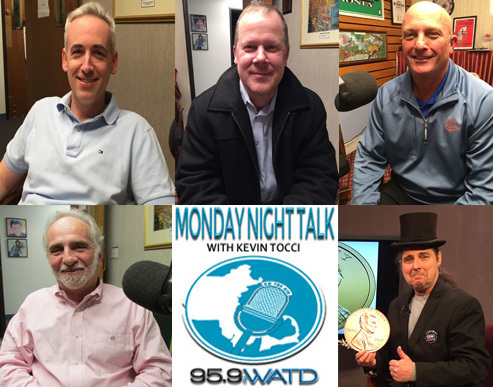 Welcome to the Monday Night Talk radio show podcast from March 26, 2018 with host Kevin Tocci featuring State Representative Jim Cantwell; Rockland Selectman Mike Mullen; Brockton Mayor Bill Carpenter and WMAL Newsman Steve Burns!!! 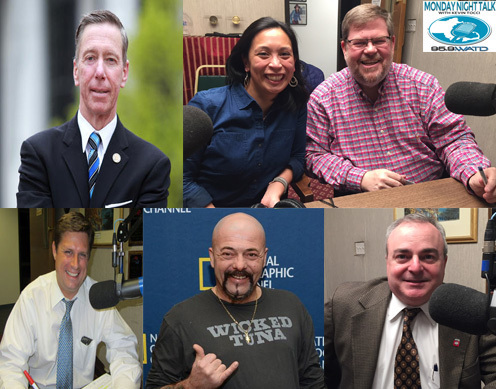 Welcome to the Monday Night Talk radio show podcast from March 19, 2018 featuring State Representative Dave DeCoste; State Representative/US Senate candidate Geoff Diehl; Kathy Baldwin, Director of Organizational Advocacy & Training and Jim Coughlin, Director of Finance for The Arc of Greater Plymouth; Congressman Stephen Lynch and Captain Dave Marciano from the National Geographic Channel's, "Wicked Tuna"